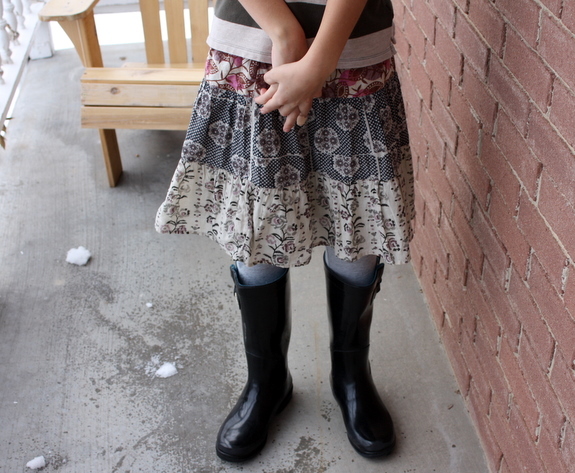 I love seeing what Precocious puts together for school outfits. It’s never boring, that’s for sure. 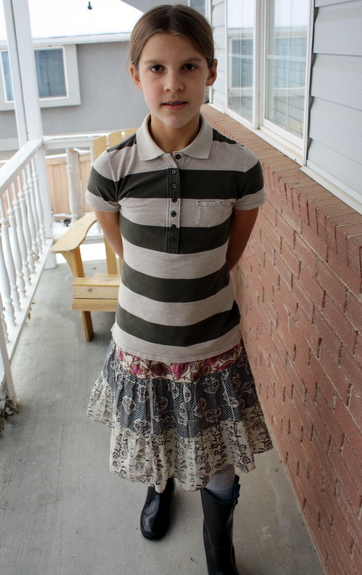 She came home from school wearing this last week, and I loved it from head to toe. Precocious is very bohemian with her style, always has been, which is a little funny since I’m so particular with my clothes. Oh I miss this girl. Tell her thank you for the birthday wishes! I need you to send me your email address, she’s been DYING to email you! She misses you too, so much. Cute! How fun that she has her own sense of style. She SO does. It drove me crazy when she was little, but I’ve embraced it. I love her! And she’s wearing stripes. Maybe it’s like Marie, like P!! Very cute outfit, nice job!